OxiClean is a powdered stain remover that activates when it's mixed with water and releases oxygen bubbles. You can use OxiClean Versatile Stain Remover to clean dirty tile in your bathroom, kitchen, or any other room in your home. According to the product's manufacturer, OxiClean works best when combined with warm or hot water. Be sure to use the mixed product as soon as possible, as its cleaning strength only lasts six hours. 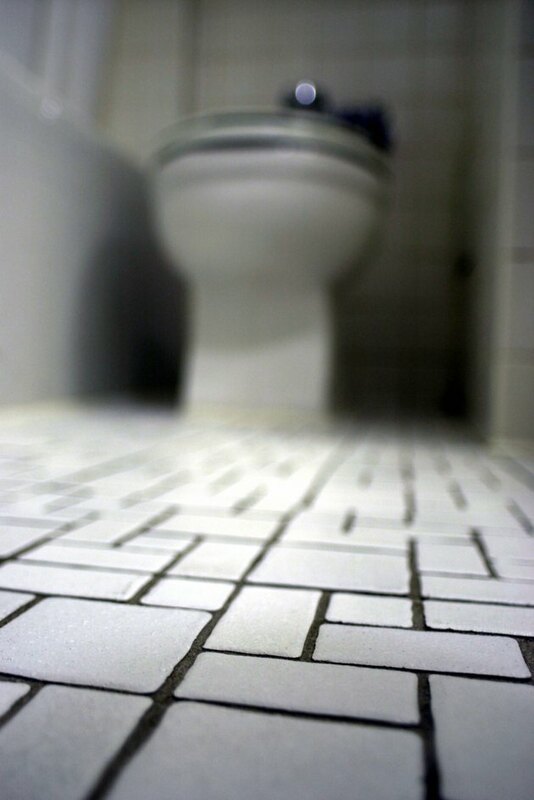 Get bathroom floors sparkling clean with an oxygen-based cleaner. Fill a plastic bucket with warm or hot water. Add the amount of OxiClean stain remover powder recommended by the product's manufacturer. Mix the powder into the water until the product is completely dissolved. Put on rubber gloves and dip a sponge into the mixture if you're cleaning wall tiles. Squeeze the sponge to remove excess moisture and rub it against the tile surface to remove any soap scum or other debris. Place a mop into the bucket if you're cleaning tile floors. Squeeze the excess moisture out of the mop and brush it across the floor to clean the tiles. Allow the product to sit on the tile for five minutes before scrubbing or mopping if you're trying to remove stubborn stains. Rinse the product off the tile walls or floors with cool water. Allow the tile to air dry or dry them with a clean, soft cloth.